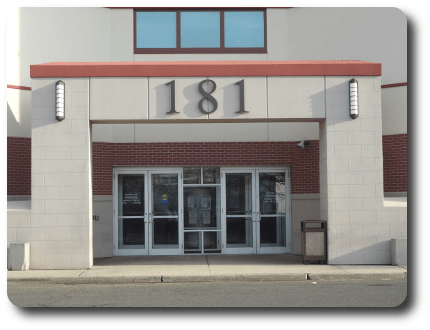 All New Jersey residents are served by our New Brunswick office at 181 How Lane. Limited services are available at our temporary office at the Alexander F. Jankowski Community Center located on 1 Olive Street, Perth Amboy. Please contact our Call Center at 732-745-3500 for information about where to apply. Please note that applications can be submitted online via the NJ Helps Website. Food Stamp (SNAP) applications may also be made by telephone. Contact our Call Center for additional information. NJ FamilyCare Medicaid applications may be completed online at njfamilycare.org. NJ FamilyCare coverage is based on a household’s income and the Federal Poverty Limits (FPL). Our office handles single adults, childless couples and parents under 138% FPL, newborns and pregnant women up to 199% FPL, and children up to 150% FPL. We strongly encourage you to apply online, or by mailing an application, or in person. NJ FamilyCare has some restrictions based on alien status and medical condition. Please see the njfamilycare.org website for more detailed information. Click the link for the Federal Poverty Income Limits (FPL). The Board also determines eligibility for NJ FamilyCare Medicaid programs for the Aged, over 65 years old, the Blind and Disabled, as defined by the Social Security Administration. Income and asset limits apply but do vary based on what your living arrangement is; whether you live at home in the community alone or with others, or in an Assisted Living Facility, or a Long Term Care Facility or hospital. Additional information regarding the eligibility requirements is available on the State’s website at: https://www.state.nj.us/humanservices/dmahs/clients/medicaid/abd/. You may also call our Screening line at 732-745-3789 for eligibility information and/or to have an application mailed to you, or apply online at https://www.state.nj.us/humanservices/dmahs/clients/medicaid/abd/. Anyone wishing to apply for benefits may apply online at the New Jersey OneApp web site, calling our Call Center at 732-745-3500 for a mail in application, or in person at our office in New Brunswick. Elderly or disabled individuals unable to come to the office may also have another person, friend or relative (called an Authorized Representative), come to the office and be interviewed on their behalf. Applications are also available by mail. To have an application mailed to you, call the office at 732-745-3500 or 1-800-SOCIAL2, and select “0” to reach the Information Center. You must prove who you say you are. You must have the Social Security Number for all household members. You must prove where you live (unless you are homeless). If you are not able to work for medical reasons you must provide a doctor’s note. If you are not a US citizen you must provide a current I-94 or current I-551. If you have resources you must provide records, statements or proof of their current value. If you have earned and/or unearned income, you must verify the source, amount and how often you receive it. Also bring proof of expenses, such as rent or mortgage payments, medical bills, child care and child support. To apply for child support services, contact the Board of Social Services or Family Court. Information and applications are also available through the state’s child support services website, www.njchildsupport.org, or by calling 1-877-NJKIDS1. There is a one-time $6 fee to apply for full child support services. If you receive public assistance, there is no fee. You must have the Social Security Number for all applicants. Single adults without dependents who live in Middlesex County may apply for cash assistance in the New Brunswick office. Residents of Middlesex County are eligible for Boarding Home Services, for more information call 732-745-3500 or toll-free 1-800-SOCIAL2 and select “0” to reach the Information Center. To file a Refugee Resettlement application, an in-person interview is required. The following is a list of information frequently required to complete an application:You must prove who you say you are. If you are not able to work, for medical reasons you must provide a doctor’s note.